Dr.D.Rama Krishna received his Bachelor of Technology (B.Tech) in Electronics and Communications Engineering from Sri Krishna Devaraya University, Ananthapur, Andhra Pradesh, India and obtained his Master of Engineering (M.E) and Doctor of Philosophy (Ph.D) in Electronics and Communication Engineering from Osmania University, Hyderabad, Telangana, India. He joined as an Assistant Professor in the department of ECE, University college of Engineering, Osmania University in the year 2007, presently he is working as Associate Professor and Chairperson Board of Studies (Autonomous) for the Department of ECE, University College of Engineering, Osmania University, he has taught several undergraduate and graduate courses in Communication Engineering area and supervised nearly 20 UG and 50 PG student projects in the area of RF and Microwave communication systems. 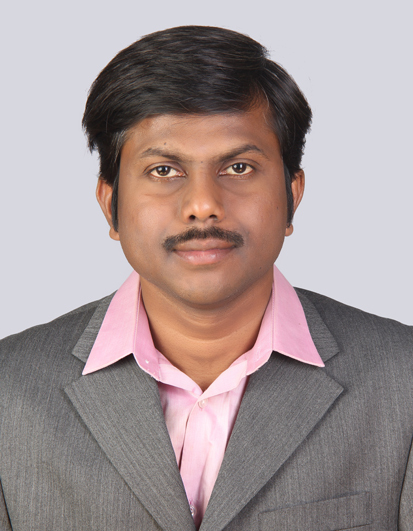 Dr. Rama Krishna successfully completed 03 sponsored research projects in the area of RF and Microwave Engineering and published 25 research papers in International Journals/ Conference Proceedings. His research areas of interest include Multifunction Antennas & Antenna Systems and Microwave & millimeter Wave Integrated Circuits. He is a Life Member of Institution of Engineers (IE), Institution of Electronics and Telecommunication Engineers (IETE), Indian Society for Technical Education (ISTE), Indian Society of Systems for Science and Engineering (ISSE), Institute of Smart Structures and Systems (ISSS) and Member of Institute of Electrical and Electronics Engineers (IEEE), USA. He served as Secretary/Treasurer for the MTT/AP/EMC Society Joint Chapter of IEEE Hyderabad Section from January 2013 to December 2016.